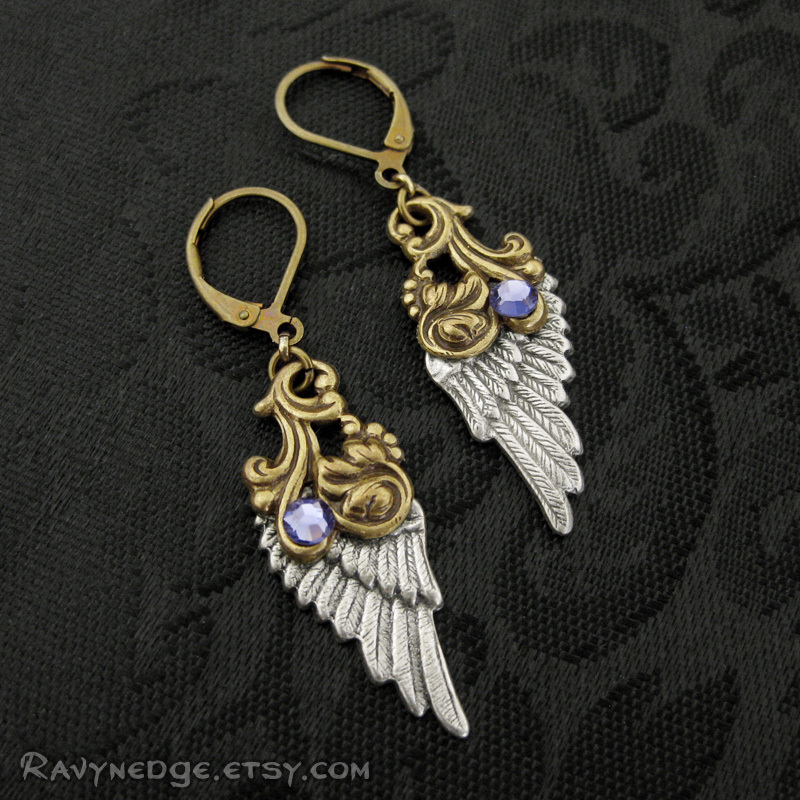 Shining Fate Small Earrings - Mixed Metal Angel Wings Dangle Earrings by RavynEdge. 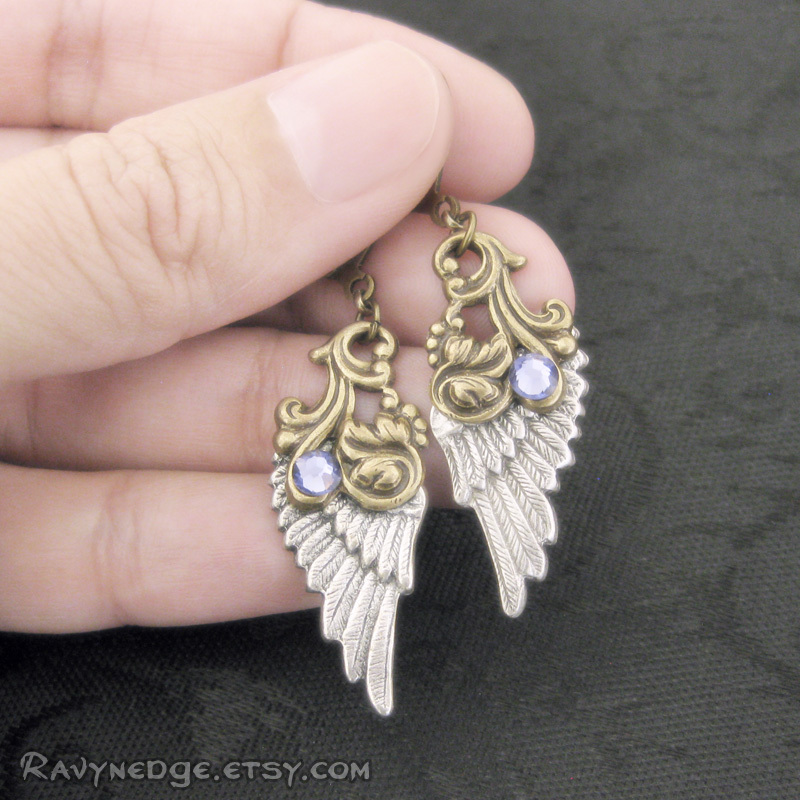 Enjoy fantastical flight with this unique pair of earrings featuring detailed angel wings, accented with ornate flourishes and Swarovski crystals. 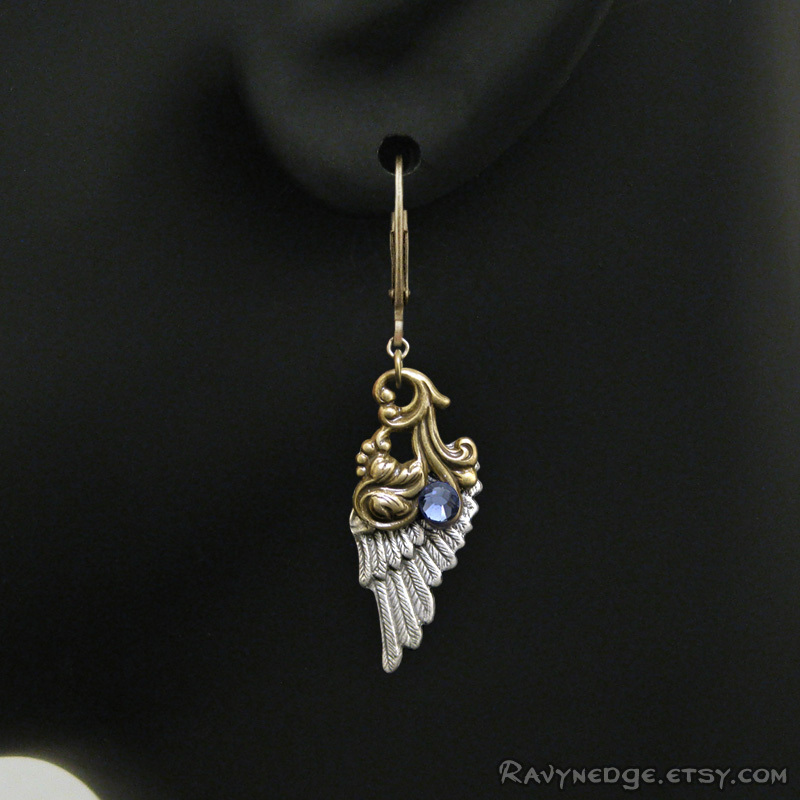 Measures aproximately 1.8 inches (47mm) from the top of the lever back earwire. 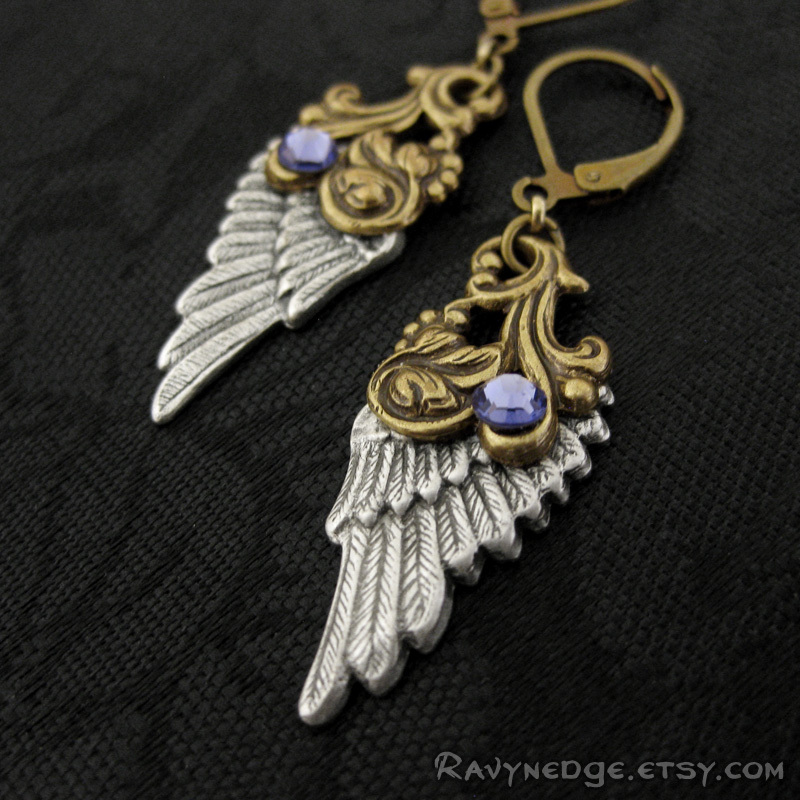 Shown here in tanzanite purple. 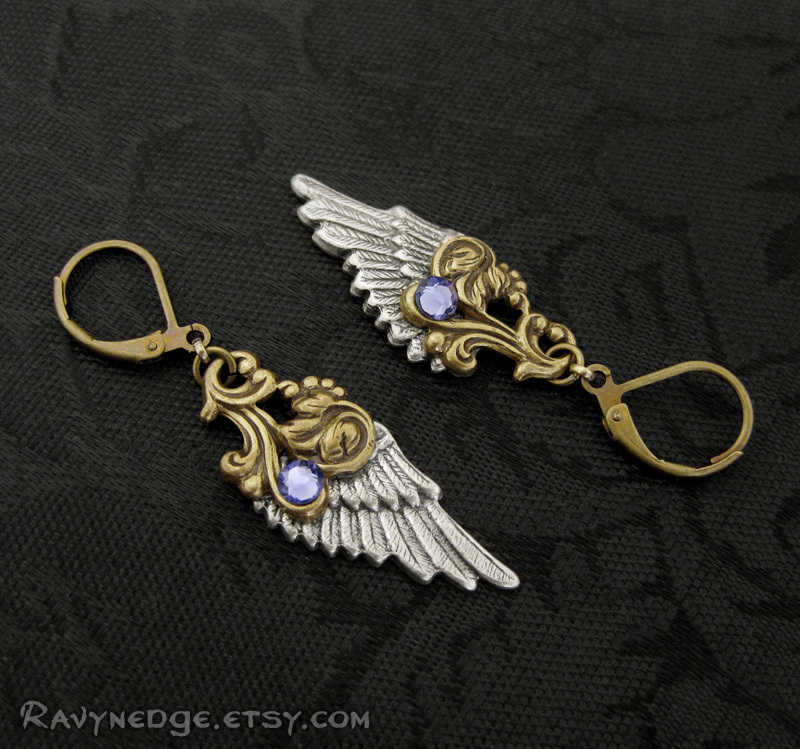 Can be made with different colored crystals or different plated metal finishes.